I read an opinion piece on HuffPo the other day which essentially suggested that America is over. The Right has clearly communicated that the differences between the Right and the Left are irreconcilable, and that like a couple who has stayed together for the child (Our Nation), the Left has realized that the desire to win, and to hurt the other is more important in the minds of the Right than the love of their shared child, and so therefore...the only, and the clear answer, is divorce. The relationship has been ending for decades, but now tearfully, the abused spouse, the Left, realizes it's over. At least, that was this HuffPo author's take on things. As I mentioned before, I don't want this blog to be political, it's a magic blog, maybe sometimes and religion or spirituality blog, not a politics blog. But, maybe we live in a world where neutrality is over. Either way, I think the author is hitting on something. America has some problems. Whether there are problems in our electoral system, or the executive branch or the legislative branch, or our economic system or not is not the question I want to answer, I'm not saying whether it's on the Left or the Right, or shared between both. It's obvious we have some problems wherever they are, and those problems definitely involve a vast divide in our people. I don't necessarily agree with the one sided point of view this HuffPo author has asserted, but again, I recognize our cultural climate is not where we need it to be. For my purposes it's not about pointing out what the problems are or whose fault it is. That can be up to you as a magician to interpret. I want to talk about how magicians can apply magic relevant to our Nation, and our location to work on making things better...whatever that may mean. America may engage in separation of Church and State but we still have a state religion...we just don't always realize it or practice it clearly. We are however amidst a powerful auspicious time within our state religion. President's Day. 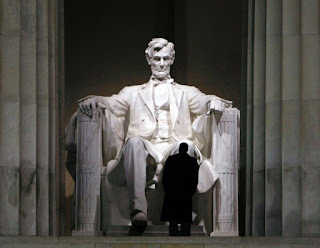 While it's a Federal Holiday and therefore is essentially a formal designation rather than a natural moment or an event based moment, it is still a moment which presents essentially a national moment of Hero worship or Ancestor worship...the two having a certain significant difference. Outside of Presidents Day we also have some important presidential birthdays this time of year. So let's look at how Hero Worship and Ancestor Worship come into play here. In Greek and Roman traditions Heroes were not simply people who were heroic or who were epic adventurers, they were essentially demigods, people with divine blood who as a result of their divine parentage were called towards great adventures. Specific temples called a Heroon or Heroun were built, often over mythical sites associated with them, so that heroes could be worshiped as semi-divine figures. There were also Great Ones, or as the Romans called them Maiores (I speak Latin, not Greek...so I'll stick to Roman terms as much as I can). Maiores were ancestors who distinguished themselves, sometimes for the over all city, or sometimes for a particular clan or family. They weren't heroes though, they weren't gods, they didn't receive the same apotheosis. There were essentially two classes of humans that received special recognition and who could be reached out to for help. As we've said before figures like this are special for us as magicians because they, having been human, recognize and care about our experience, they know what we're going through, and they understand the world we live in and the kind of help we need. Maybe not precisely because of the space created by time...but still with more sympathy than most other sorts of spirits. More mythic figures like Heroes may or may not have been people in the case of Greece and Rome, but in our case most of them certainly were. There is still perhaps a difference, not necessarily in the divinity of their parentage, but in the size and gravity of their persona and therefore in the altitude of their purview. Aside from our presidents we have other folk figures who might be American Gods...John Henry, Paul Bunyon, Johnny Appleseed...but they may not be useful for our political issues. 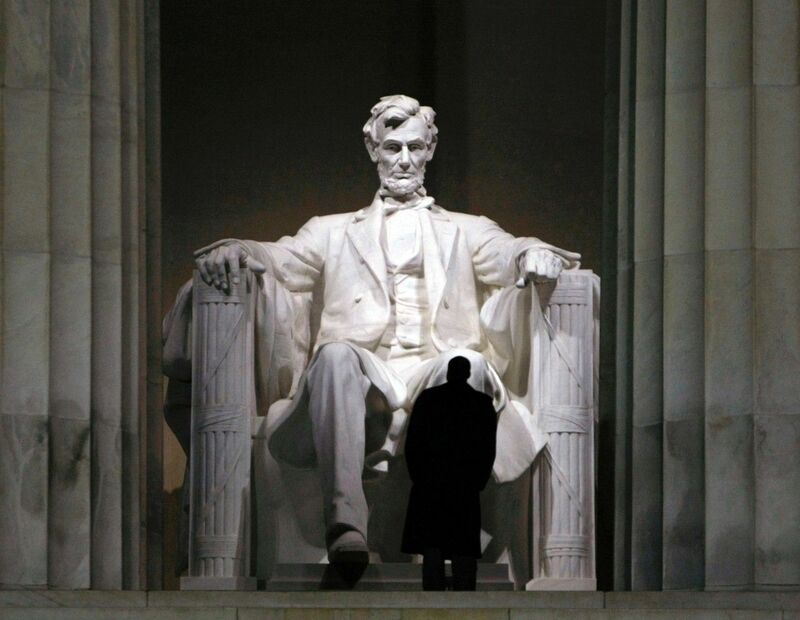 When looking at the figures who fall within our category of Heroes it is probably pretty easy to distinguish them...Washington, Jefferson, Franklin, the Founding Fathers, in particular those which any child can name, those who have temples built to them in our Nation's Capital, along with the Founding Fathers would of course be Lincoln. Figures who we don't simply know the histories of but about whom we have created mythic iconographies and apocryphal stories. We have memorialized our Heroes by carving them into mountains, building giant obelisks for them, setting up temples with ever burning flames where people make offerings of flowers and go to pray for inspiration. We have a state religion, and we have Heroes who have received apotheosis and who we expect that we can connect with in some way through these monuments, through connecting with history. We don't typically connect with them with an expectation for anything more active than centering ourselves and hoping for guidance, or for a renewed sense of pride in our Nation. But we can. We also have Maiores. We have other presidents who we remember as great, other revolutionary figures who've gone down in history, but who haven't been elevated to mythic proportions, who haven't been enshrined or received by national consensus a certain apotheosis. We have thinkers, inventors, developers, business men, artists, writers, and a slew of other sorts of people to whom buildings are named, whose birth places are historical sites, with schools and streets named for them, who did something which meant something to our society and so we commemorate them and keep the memory of them alive. We have soldiers memorialized on walls, shrines, and statues and other memorials because they fought and died in causes our Nation deemed worthy of the ultimate sacrifice. These are people who cared about our country, about causes, about things they could do for our society, people who like our personal ancestors deserve to be remembered, and who in exchange for that remembrance and recognition can give us their help, especially with those things they already cared about. So how do we engage these figures? We can go to monuments and historical places, but those are not always convenient. Making offerings, setting up shrines, setting lights dedicated to them, all the ways we work with spirits, gods, ancestors, these are ways we can engage these figures as well. Many of them care about this Nation and so calling upon them, making an offering, and asking for help with the Nation is exactly in line with them, just like calling on an ancestor to ask for help with your life or the lives of your family would be. Again, I'm not making a call on what the problems are or what needs to be fixed, just that there are problems, but that we also have tools to work on them. In my next two posts I'll be talking about other America specific spiritual powers to call on, and then a post on more specific ways to work magic with them. I hope you'll stick with us through them.